The American Society of Addiction Medicine (ASAM) defines addiction as a prolonged disease of the brain, which involves changes to the reward centers, leading to alterations in behaviors, drive, retention, and cognition. Medical researchers believe that a combination of genetics, environment, and family history all contribute to an individual’s risk of substance abuse throughout life. These factors may show up in an individual’s personality in specific ways, indicating a heightened risk for addiction to a drug or alcohol. 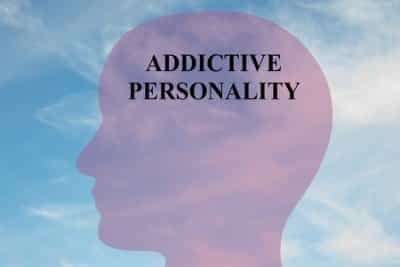 These personality traits are collectively called the addictive personality, a psychological term that has been argued by medical professionals; however, these traits do show up in about 10-15 percent of the population. Impulse control problems: People who struggle with addiction or substance abuse problems typically display poor impulse control skills. They are more likely to make sudden decisions with little regard for the consequences, especially the long-term consequences. They often do not care if a substance will leave them with negative side effects, or abuse of the substance will cause chronic health issues. While they may be engaged in their surroundings and interested in trying new things, these traits may have a downside too. They may seek adventure, but this could include party atmospheres or the mental escape offered by drugs. High stress: Many people who abuse substances do so because they experience higher levels of stress than considered normal. In many cases, this stress may be self-imposed, such as when a person chooses a high-pressure career or worries about the future. People who struggle with mood disorders, especially anxiety or bipolar disorder, are prone to experiencing high levels of stress due to brain chemistry imbalances. Without an appropriate medical diagnosis, this could turn into self-medication with alcohol or drugs. Poor self-worth: While experimenting with or abusing intoxicating substances can negatively impact brain chemistry, people who struggle with depression, low self-esteem, or personal stress may attempt to self-medicate these feelings. They may drink too much at a party or take stimulants to complete tasks that require a lot of energy. They want to feel good about themselves, but the intoxication often goes too far, leading to worsening brain chemistry, and induced or worsened mood disorders, which then contributes to a continuation of the original negative self-image. Few or no long-term goals: While the stereotype of an addictive personality involves someone who is lazy, carefree, or seeking constant stimulation, these are not the only signs. A person who is very driven and competitive may also have an addictive personality, which may show up in shying away from setting specific goals for the future. Even if a person is very focused on their job, their family, or other pursuits, they may not have an idea of what they actually want out of these. This problem can be enhanced by consuming intoxicating substances, leading the person to wonder if they have a future. Social alienation. Whether social isolation comes from abusing drugs that are not culturally acceptable, from intently focusing on work or school, or from feeling bad about oneself and being afraid to go out, alienation from peers is a sign that a person may be abusing drugs or at risk of becoming addicted to drugs. The individual may feel like they need a substance, like alcohol, to make social situations easier; they may feel like they need to take a stimulant to focus on work, causing them to avoid their friends; or they may become addicted to opioids and abuse heroin instead of leaving home to seek companionship.